We all know how much I love(d) my little ratties. I still think about them quite often. Sometimes I get overwhelmingly sad that they are gone, but I also have plenty of good memories. 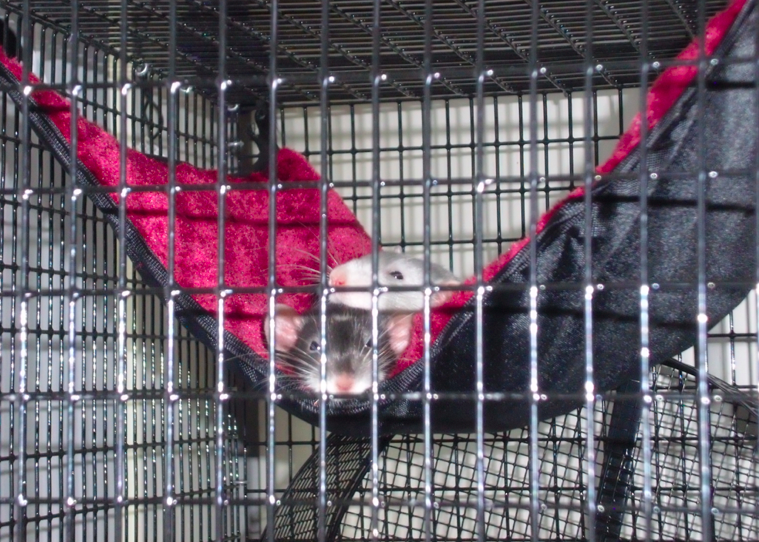 Big ratties in a hammock! I decided that I do want more rats. I think I am starting to get to a point where I will want more soon. I knew I wasn't ready for a long time because every time I thought about getting rats, I couldn't picture having any others but my Romulus and Remus. 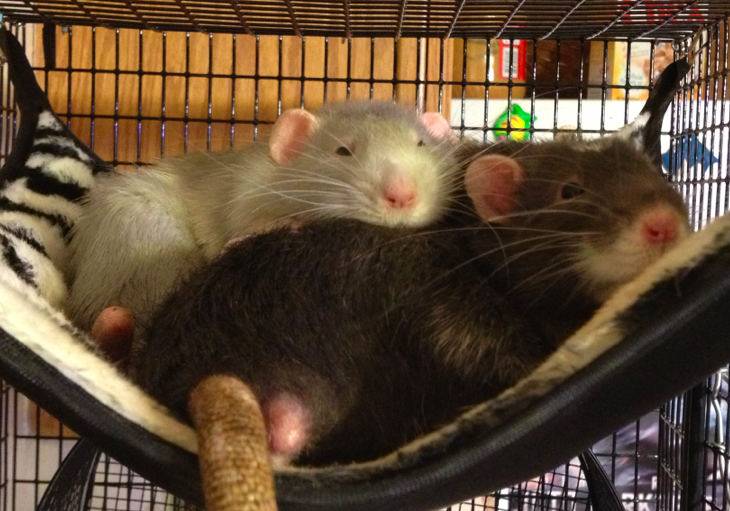 I follow several people on both Instagram and Tumblr who are rat owners and lovers. It is so fun to see the pictures and I can't help but think that there are so many other sweet, cool, and cute rats out there that I haven't met yet. 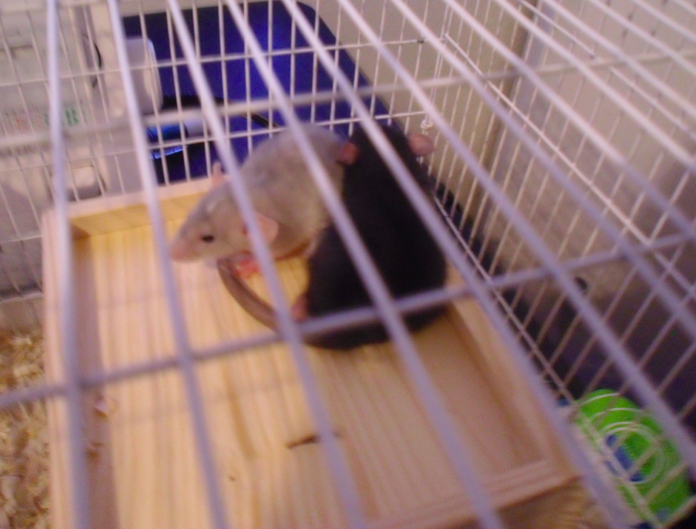 That sounds silly, but it has helped me move on from needing to "replace" my rats and to a place where I would like to form new bonds and relationships with other rats. Do I sound like the crazy rat lady or what? Big old rats on top of their house. Baby rats on top of the same house. So tiny! The point is, I really love rats. I think they are so fun and cute. 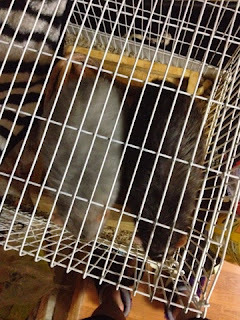 I like to follow people who have pet rats and see what happens and what things they do together. And I know from experience how much fun rats can be. And I think, sometime in the near-ish future, there will be rats here again. I have started stalking the page of the breeder that I got my boys from, and will probably apply for adoption in a couple of months. I will keep you posted.